PRIDE Cymru is bringing back Cardiff’s Famous Big Weekend and is making it bigger and better than ever before! Due to the success of Pride 2016, PRIDE Cymru is proud to announce that next year’s event will run over three days in its new location at Cardiff City Hall Lawns on the 2017 August Bank Holiday Weekend. Pride Cymru’s Big Weekend 2017 will be a mega-mashup of Pride and Cardiff’s Big Weekend which was last held in 2011. 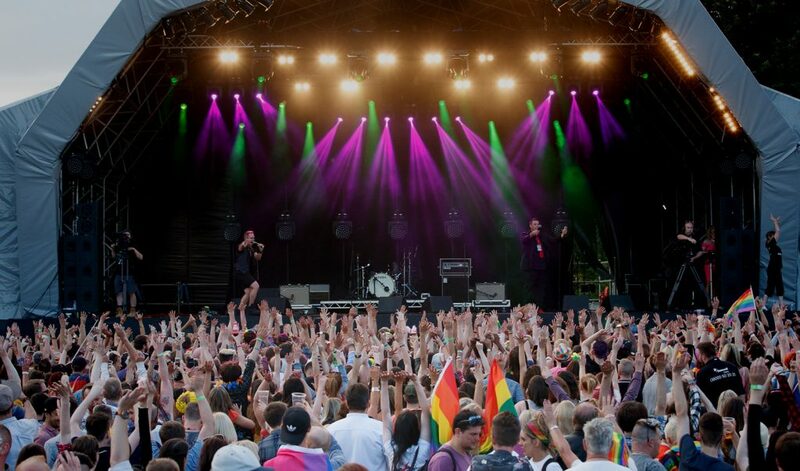 Pride Cymru’s Big Weekend 2017 will provide 3 days of pure party atmosphere and extravagant entertainment in the heart of the capital, celebrating and promoting the importance of LGBT in the community as well as bringing more than 200,000 people together in celebration in Wales’ capital city. Samba Galez will be there on Saturday 26th August as part of the Parade that brings the streets of Cardiff City Centre alive.